Brother Noland is a native Hawaiian musician with an international reputation as a musical artist. Acclaimed as a ki ho`alu guitarist, he is also a prolific recording artist and composes scores for film and television. His professional and community honors include multiple Na Hoku Hanohano and Billboard Music awards, the Hawai`i Music Awards 2002 Male Vocalist of the Year, Kalihi-Palama Community Council Outstanding Youth Role Model 2000, the State of Hawai`i proclamation of Brother Noland Day in September 1997, and inclusion in the Variety Club of Hawai`i’s Celebrity Circle at King’s Village in Waikiki. Brother Noland uses Hawaiian concepts of wisdom as the foundation to share the spirit of aloha in his teaching. He teaches `ukulele and guitar, gives lectures on Lessons of Aloha, accompanies outbound nature journeys on the island of Moloka`i through the Hawaiian Inside Experience program and coordinates an annual Goodwill Basketball Tournament in the inner-city area of Kalihi-Palama. Born and raised in one of the poorest neighborhoods on O`ahu, the Kahili-Palama Settlement, the multi-talented Brother Noland found his way out through his art and culture and now helps at risk youth define their choices and make a quality connection to the community. 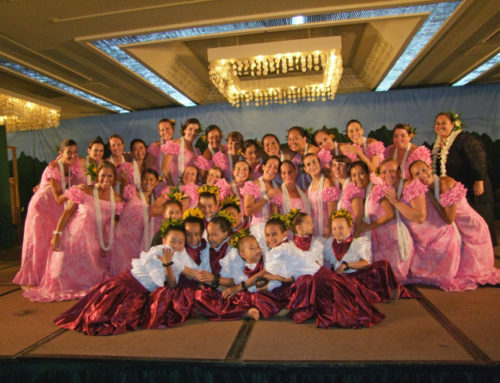 He founded the Kalihi-Palama Settlement Performing Arts Program in 1993. And he’s written an inspirational book, The Lessons of Aloha: A journey into the wit and wisdom of Hawai`i through the voices of Hawai`i. CDs he’s produced include a compilation CD titled New Faces, New Music featuring his music students, and Hawaiian Inside a re-discovery of the beautiful sound of ki ho`alu and Hawaiian melody. music because music makes him feel good and good music, no matter the genre, makes him feel better. its relationship to his soul. As important as all of his interests are, Brother Noland credits his children for feeding his inspiration. that allows for creative growth and self discovery. As Brother Noland continues on his journey, he continues to leave his mark as one of Hawaii’s musical icons and visionary leaders. Educator, community leader, musical pioneer, poet, musician, innovative, creative, visionary—these are just some of the words used to describe Brother Noland, native son. His life’s work reflects his quest for wisdom and harmony. Your generous donation of cash in the calabash helps this unique program of Hawaiian music continue.